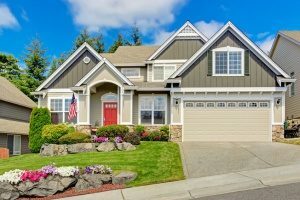 Should I Take Out a Loan for Home Improvements? Home improvements offer far more than just aesthetic value. They can also make a space feel more comfortable, safe, and energy efficient. Certain home improvements can also have a positive impact on your home’s value, allowing you to up your property cost when you go to sell. While there is no denying the benefits of home improvements, new upgrades and renovations can be costly. In fact, the U.S. spent an estimated 326.1 billion dollars in 2015 on home improvement and repairs alone. If you are ready to make some essential home improvements but do not have the funds to do so, consider taking out a home improvement loan. A home improvement loan, also known as a FHA 203(k) loan, is a type of federally insured mortgage loan that is typically used to fund home repairs and renovations. Home improvement loans are often made on the borrower’s home for up to 110 percent of the value of the home after improvements. Based on FHA’s maximum loan limits, there is a minimum of $5,000 that is required to spend on repairs and there is no maximum. Who Should Take Out a Home Improvement Loan? Home improvement loans are often recommended to new homeowners who do not yet have the equity built up in their home to use as collateral for a home equity loan. A home improvement loan allows new homeowners to get the funds they need to upgrade their home without meeting stricter guidelines. A home improvement loan is also a good choice for homeowners interested in a shorter loan time and speedy funding. Most home improvement loans are funded within just a few days of applying. Loan rates are fixed and the terms usually range from just 1 to 10 years on average. What is a Secured vs. Unsecured Loan? When it comes to home improvement loans, you have two main options: a secured home improvement loan and an unsecured home improvement loan. With a secured loan, your house is used as collateral, generally referred to as a second mortgage or a home equity loan. With a secured home improvement loan, you are often able to take out a bigger loan, have a fixed interest rate, and up to 15 years to pay it back. The interest on this type of home improvement loan is also usually tax deductible. 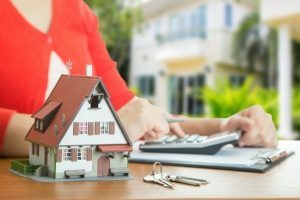 If you do not have the collateral to take out a home equity loan, you may also be able to get an unsecured. With an unsecured loan, no collateral is needed. However, this means a larger risk for the lender which can result in a higher interest rate. Unsecured rates often need to be repaid within 10 years and the amount that is taken out is generally less than with a secured loan. How much of a loan you can take out will generally depend on your credit score. No matter how “perfect” your home may seem upon moving in, nearly all houses could benefit from some type of repair or renovation. A home improvement loan is an effective way to perform necessary maintenance or desired upgrades to a home without having to drain your bank account. Unlike various types of personal loans, home improvement loans come with a wide range of benefits. Instead of looking at your loan as another debt, think of it as an investment made towards raising the overall value of your home. One of the biggest benefits of choosing a home improvement loan is access to low, fixed interest rates. Many insurance companies offer low interest rates that remain fixed for a set period of time. If you pay off your loan before this set end date arrives, you can save significant money compared to spending on a high interest credit card. As the payments are fixed, you also do not have to worry about unexpected payments each month. You know exactly how much you will need to pay based on the amount agreed upon which can help you stay within budget. Another major advantage of taking out a home improvement loan is the effect it will have on your home’s value. Updated, modern kitchens and bathrooms have been proven to bump the value of most homes and are more likely to attract home buyers than houses that have not been improved or upgraded. This makes a home improvement loan a wise investment for motivated homeowners. As taking out a home improvement loan requires you to get estimates from contractors and other professionals, you can also have the confidence of knowing you will have the funds to actually complete the project instead of having to stop mid-way through due to a lack of funds. When you take out a home improvement loan, you may also get a tax benefit on any interest you paid throughout the duration of the loan. However, note that to get this tax deduction the work you are doing to your home must be a “capital improvement” rather than an ordinary repair. A qualifying capital improvement is any improvement that increases the value of your home. For example, a qualifying capital improvement might be building a new roof, upgrading a cooling or heating system, or adding a garage, porch, swimming pool, or fence. Your home is where you spend most of your time. It is also a major investment that you will probably have for years to come. As so, you want to keep it well maintained, safe, comfortable, and beautiful. Appliance upgrades, new builds, and various renovations and remodels can turn an ordinary house into an attractive home. If you are ready to get started on your next home improvement project, talk to a mortgage broker in your area about applying for a home improvement loan. 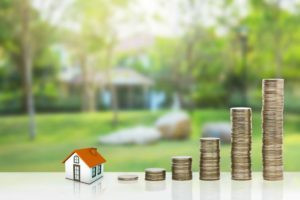 A local mortgage broker can help you compare your options to get you the amount of money you need with favorable terms.